We want you to be happy! More importantly, we want you to hear the best you can. If for whatever reason you are not 100% satisfied with your hearing aids, you can return them in their original condition within 90 days of the purchase date, and we will adjust, repair, exchange or give you your money back. This guarantee does not cover accidental damage, scratches, breakage or theft. Visit our clinic for more details. Any electrical component that, because of workmanship, manufacturing or design defects fails to function properly under normal use during the life of this warranty will be replaced or repaired at no charge for parts or labour when returned to the point of purchase. If it is determined that repair is not feasible, the entire unit may be replaced with an equivalent or better unit upon mutual agreement between Hearing Aid Source and you. 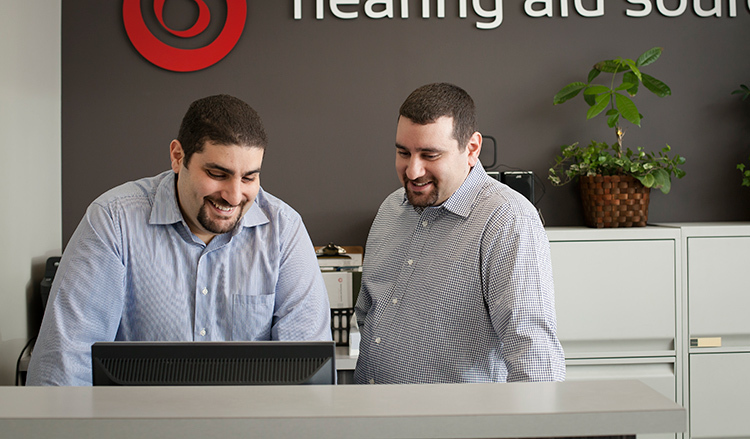 Enjoy unlimited in-house cleaning services for your hearing aids with our Best Value or Best Fit service plans. This feature includes checking and cleaning your hearing aids, minor repairs, adjustments, reinstruction and programming. Our body is always changing, growing, aging, shrinking and so on. So, too, are our ears and hearing. We provide regular follow-ups to ensure that you are hearing the best you possibly can with these changes. Proper maintenance of your hearing aids is essential to ensure their long life and optimal performance. Your hearing aid will come with batteries, wax guards and the cleaning tools necessary to keep your hearing aids in pristine operating condition.